Loft conversions are a great way to add space and value to your home, without going down the traditional route of an extension. This encouraged our client to convert their loft into a bedroom, bathroom, and dressing room; essentially creating a mini home within the home! 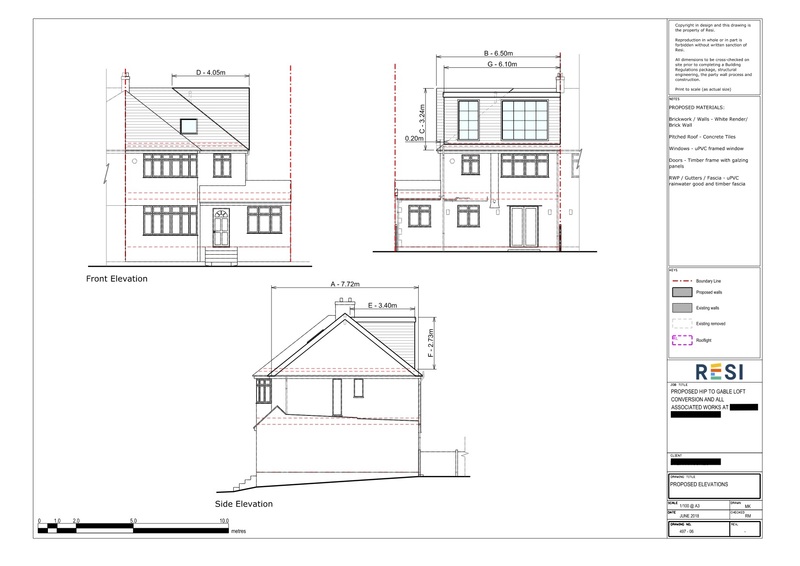 Our client came to Resi when they needed a loft conversion to facilitate an ensuite bedroom. They wanted to create a modern space, with as much natural light as possible. Although they were open to ideas, their intended layout included a bedroom, bathroom, and a lot of storage space. 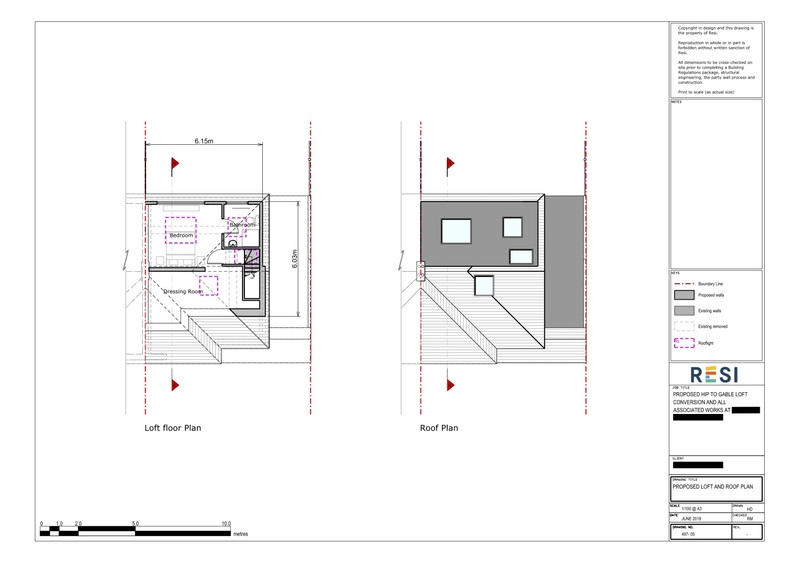 They also needed to consider how the first floor layout was going to be affected by the addition of the loft staircase. I designed a master suite for the loft conversion, with a dressing room to give it an elegant touch, and also fulfil the request of ample storage. In order to fill the space with natural light, I added in four skylights; one skylight per room… even above the staircase! To take this even further, a large window and door were to be overlooking the garden. 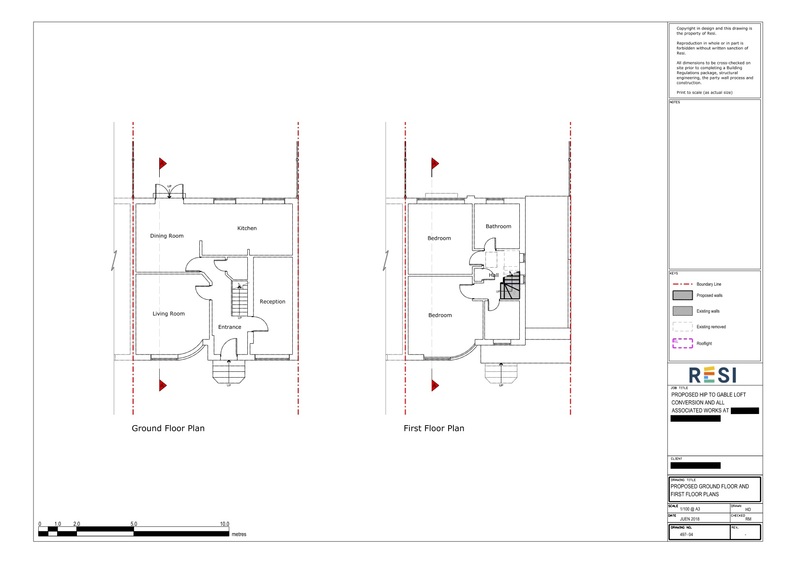 As for the loft staircase, there was enough room for it to fit in the first floor hallway so there was no need for a significant rearrangement of the existing first floor plan.